Mark your calendars, single-payer supporters! 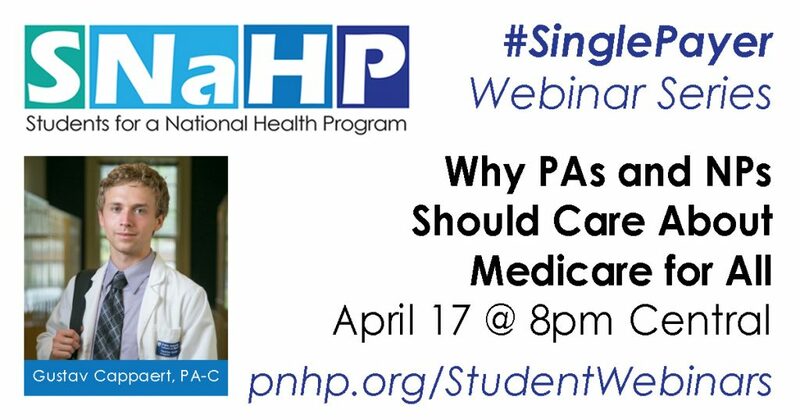 SNaHP wants to help you and your chapter advocate for single-payer reform! With this ongoing webinar series, we hope to provide essential information in an easily accessible format, perfect for a chapter event or your own personal education. If you are unable to join us in real time, please note that all webinars will be archived on this page.